It’s 2a.m. and I’ve finally soothed fussy 3-month old Vee back to sleep. Then a mosquito parks itself comfortably onto his forehead. I panick, grab a piece of tissue paper and catch it. Oh no, the mosquito’s gone but the baby’s eyes open wide and I’ve got to soothe him all over again! Aren’t mosquitoes plain irritating? I learnt this the hard way by wearing a black T-shirt at home and becoming a mosquitoes magnet all day long. Then my mother-in-law (MIL) advised me to wear light-coloured clothes, which helped a lot. So for baby, put light-coloured clothes on him, even if that particular dark blue top looks uber-cool. This is a simple, low cost method. Many play-pens come packaged with mosquito nets, that can be used on a small cot too. Otherwise, you can buy a mosquito net to wrap over the cot when baby is asleep. The downside is reduced air circulation which means baby might feel warmer. Not recommended on a hot day. And an older baby won’t like the netting. Many commercial mosquito repellents are for adults and unsuitable for baby’s delicate skin and body. So you’d need to select a baby-safe repellent and read its list of ingredients carefully. 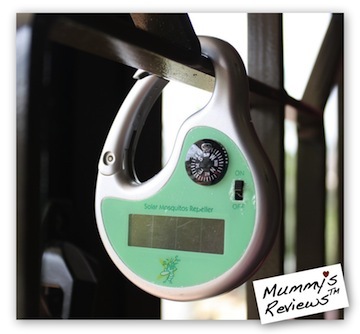 Then recently, we were given the opportunity to test out TGP Nature Mozz Mosquito Repellent Stick. We used it when visiting the Singapore Zoo and survived the trip with no bites. Over the months, we’ve been applying the repellent religiously before sleep every night. Vee loves the repellent, so after it ran out, we grabbed a new stick at Mothercare (KL). His very-sensitive skin is fine when using this repellent. I only wished a tube lasts longer since three of us are using it. Update on 29 Feb 2012: Now our heart goes to Badger Company, Anti-Bug Balm*. The thick stick is easy-to-apply. And no mosquito bites at the areas applied. (Once, I rolled it over Baby Jae’s left face, forehead and nose because he was sleeping on his right face. The next morning, he only got bitten on the right face!) 1.5oz (42g) at only USD10.35 from iHerb and I’ve just ordered a new stick. Superb value for money. Update on 6 Oct 2015: Our latest choice is Mosi-Guard Insect Repellent*. In 2011, my hubby got dengue fever. Then in April 2015, I got it. My goodness, we’re absolutely paranoid of mosquitoes now! I sat through a presentation on Mosi-Guard products by Mr. Andrew Tan, VP of the Malaysian Pharmaceutical Society. Then I bought both the spray and roll-on from a pharmacy (Caring Pharmacy, I think) in Kuala Lumpur, Malaysia. I cover the kids and myself with these when we need to play outdoors. So far so good. And about 2 years back, my MIL gave us a Solar Mosquito Repeller *. It’s solar-powered to give off a high-frequency sound and repel blood-sucking female mosquitoes. You can hear the “eeeee” sound by bringing the repeller close to your ears. For more mosquito-repelling action, we hook it by the window grille so that it gets powered up every day and drive the mozzies away. When all the above methods fail and your house is still infested with mosquitoes (like ours 3 years ago), here comes the mosquitoes’ biggest enemy — Advante Blackhole. After comparing several mosquito traps at Home-Fix, we decided to get the Blackhole, which is like the BMW of mosquito traps. When the sticker runs out of space to “stick” mosquitoes, simply replace it with a new piece. The people at Home-Fix helps with maintaining the Blackhole. So far, we’ve only had to change a spare part once. Update on 6 Oct 2015: We’ve phased out the Blackhole as the light / motor have stopped working after a few years, and replaced them with Pest-Stop 500 UMIK. 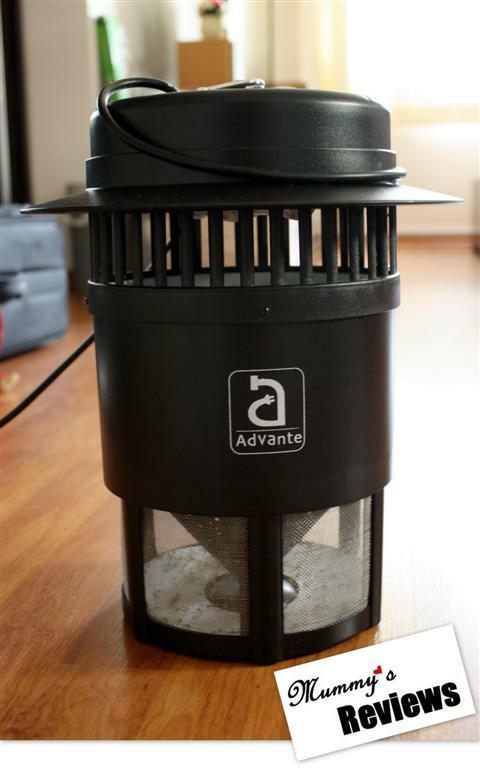 This is a powerful mosquito trap that attracts the mozzies via UV-light and heat. Then zaps them dead in the unit. Every week or so, just pull out the drawer and dispose the barbecued pests. Because of the zapping, we can literally count how many have been caught. However it can get a bit shocking in the middle of the night or when you don’t expect the “PIAK!! !” sound. So we place it in the common living area instead of the bedroom. By using the above methods, we’ve finally managed to keep the mosquitoes at bay. Hopefully, no more dengue fever — ever! Sharing time: How do YOU protect yourself and baby from mosquitoes? Do share in the comments box. mosquito traps, try Home Fix stores in Singapore and Malaysia. Disclosure: I received 2 tubes of TGP Nature Mozz Mosquito Repellent Sticks for review. Ha… My hubby’s trying to get the electric mosquito swatter. How about a mosquito repellent patch? I use bugslock. Portable n easy to carry ard. 1. In Malaysia, the normal way and recommended by Consumer Association of Penang (CAP) is simply to use an electric fan for suburbs. With wind blowing from fan, the mosquiotes tend to rest on the floor after trying hard fighting the wind. usually they are found dead on the floor after the fan is switched on whole night. however not practical for some people as it tends to dry up your skin. 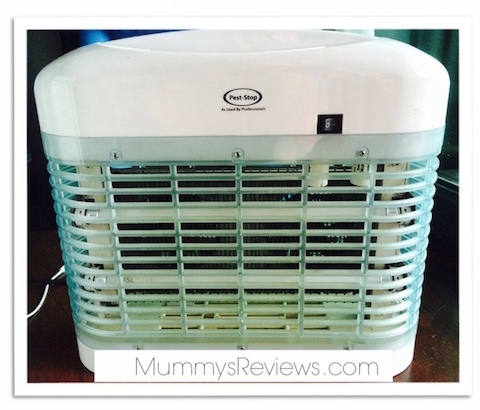 Using two fans may be more practical:one for near head and one for near the feet. 2. In the old days, using a huge blanket and hitting “the air” in the room will stir the mosquitoes. How does that work I do not know except finding them knocked out on the floor. 3. My observation is that car tyres seems to be mosquitoes favourite hiding place. A simple but not so pleasant looking DIY trap if you happen to have those around. Thanks for sharing, Timothy! Last year, my husband got dengue fever. After that traumatic experience, we installed mosquito nettings on our windows and doors. This way, we could still sleep with the windows open all night long. For those where nettings can’t be installed, we close them by 5+p.m. The mozzies that manage to fly in are handled by a few effective electric mosquito traps. This way, we’ve drastically reduced the number of mosquitoes at home. Phew! I should say that it seems that dark-coloured objects like tyres, umbrella, leather shoes and even sofa seems to be mosquito hiding place. There are many types of irriating mosquitoes. At one stage, Malaysia was badly hit with a type of mosquito (probably the same one that carries dengue virus) that carries an unheard of disease called Chikukunya or something like that that produce dengue-like symptom – high fever. Many rubber tappers were hit, and it aint a joke. It was and still is very hard to eradicate them, since usually rubber tree cups when filled with rain water quickly becomes their breeding place. Even after a year, some are still complaining acute pains at joints. This kind of disease aint from South East Asia, probably as far as India or Africa. and with dengue outbreak that I heard sometime ago I do hope Singapore authorities screen foreigners that want to work in Singapore for being carriers. A few of my relatives are Singaporean. I normally close my house windows and doors 5-7am and 6-8pm since this seems to be the usual time the mosquitoes move around looking for hiding place. Probably those in NS or somebody out there who knows better can comment on this. Yes, definitely dark-coloured objects and furniture. Our BIGGEST mistake is to have chosen black for our room furniture and dark brown for sofas. If we move / change furniture, we’ll make sure everything is light-coloured, perhaps cream. and for unknown reason open (not in use) tyre seems to be the place where I find most mosquitoes hiding: that is what i tried to say previously. I bought one unit of pest stop 500 umik. It’s quite effective. However, it’s stated not for 24/7. So I on it about 12 hours per day. One thing I don’t like about it is that “paik” sound which gives us a fright at times. I intend to buy another unit to make up the other half day. I am wondering should I get a diff technology using water. According to the salesman, it’s quiet. But I’m not sure is it as effective as the current one using light. Hi Charmaine, totally get what you mean since I get a shock from the “piak” sound almost every time too. After contracting dengue fever, we’ve since installed mosquito netting on all windows. After sun sets, we switch on the mosquito trap since some may have come on through the door. Though it gives me a fright (hubby & kids aren’t bothered though), I get to estimate how many mosquitoes still manage to sneak in. After a few years, we’re used to this method. After my sister was hospitalised due to dengue fever, I searched for products to protect my family. Friends recommended me to iZAP mosquito traps and repellent patches. I selected model Fortra 2 which is a powerful 40W trap. I was impressed when they sent a complimentary box of izap patches along with the delivery. I have since been buying their patches ad sprays which I find to be long-lasting and safe for my infants. We find many dead mosquitoes in the trap and we love hearing the zap sounds! Thanks for sharing, Shal… Can totally relate to that!